Patrick Marshall (right) had wide interests in geology, and travelled around many parts of New Zealand and the Pacific. He named the rocks rodingite and ignimbrite as well as the mineral tuhualite. 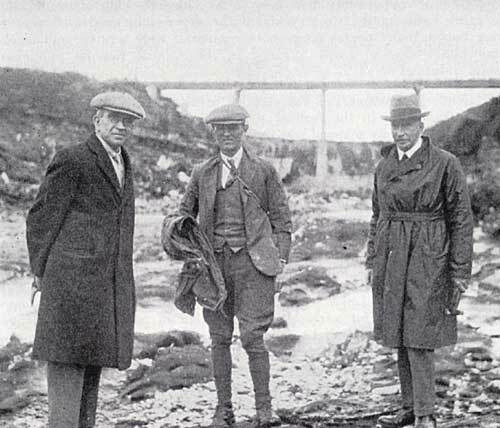 He is pictured at the Arapuni Dam site in the Waikato, probably in the late 1920s or early 1930s. With him are geologists John Henderson (left, director of the New Zealand Geological Survey) and Arthur Bartrum (professor of geology at Auckland University College).